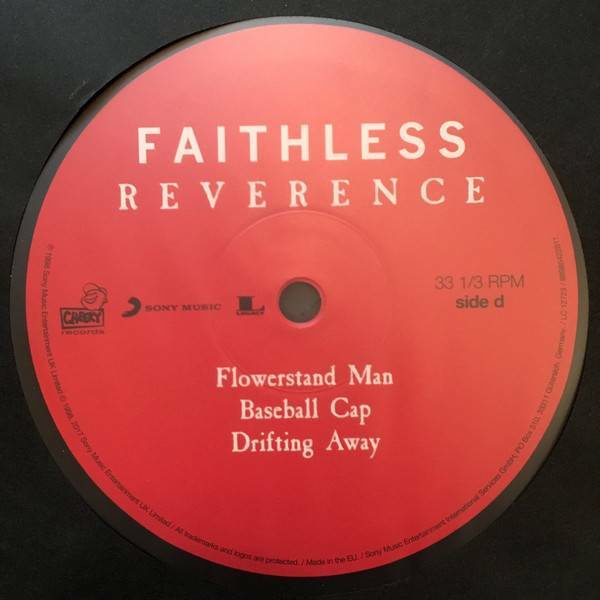 2015 EU SONY reissue on audiophile 180g vinyl LP -Reverence is the debut album by Faithless, released in April 1996. 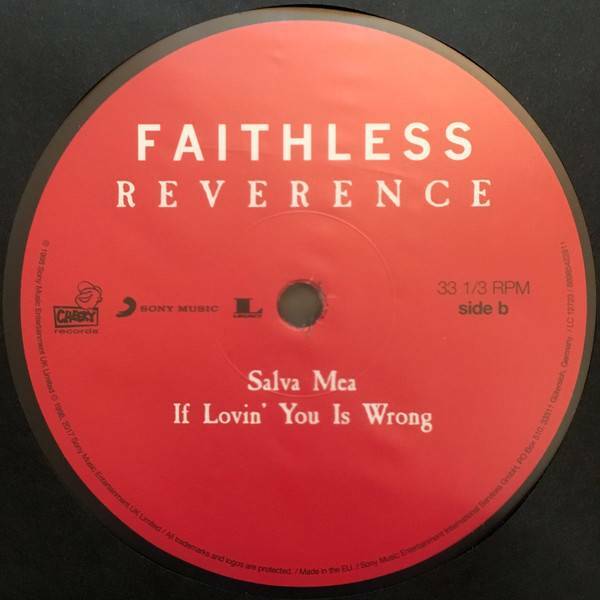 The album contains several singles that have subsequently become Faithless classics, such as "Don't Leave", "Salva Mea", and "Insomnia". The album reached #26 in the UK charts. 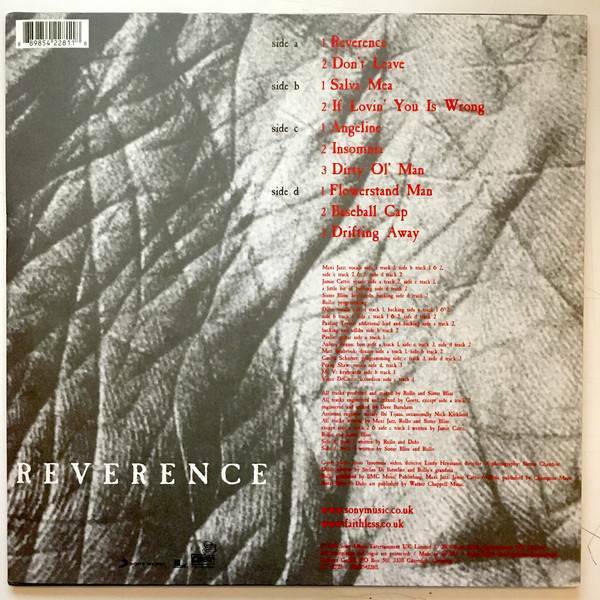 This album is a collection of shadows, of mirror images, where songs mimic one another before spinning off to do their own thing. It's brilliant. 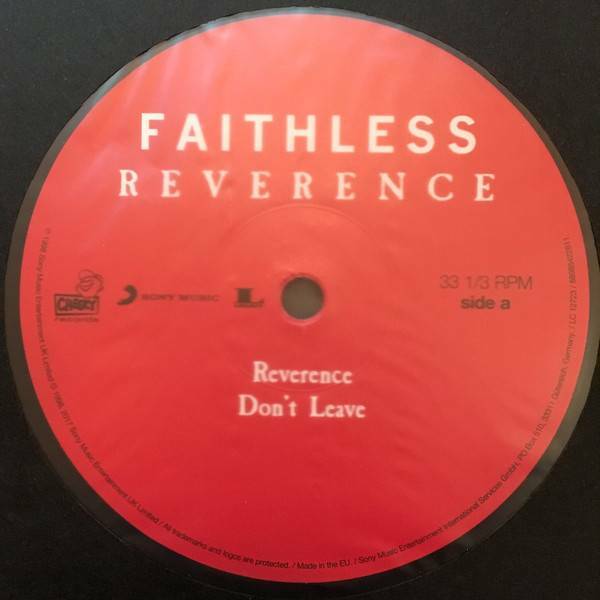 Reverence is the debut album by Faithless, released in April 1996. The album contains several singles that have subsequently become Faithless classics, such as "Don't Leave", "Salva Mea", and "Insomnia". The album reached #26 in the UK charts. As Jazz explored hip-hop through the 1980s and his path converged with dub superstar Jah Wobble, the ultra funky Jamiroquai, and the Soul II Soul amalgamation (among others), the foundation was laid for the delicious blend of genres and sounds that would break through in the mid-'90s. Maxi Jazz, the maestro behind Faithless, is well titled as "the grand oral disseminator." 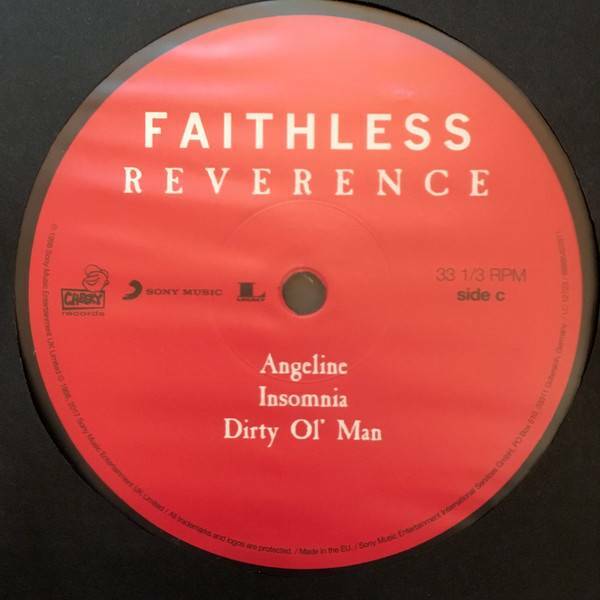 The tales he spins make this album a manifesto, religious experience, sexual escapade, and 24-hour rave all rolled up into one tightly constructed package. The songs are great, the beats are compelling, and it's almost impossible to not bounce around the room while listening. This album is also a collection of shadows, of mirror images, where songs mimic one another before spinning off to do their own thing. Moments are caught and lost, tangled, and straightened out. Really, it's brilliant.